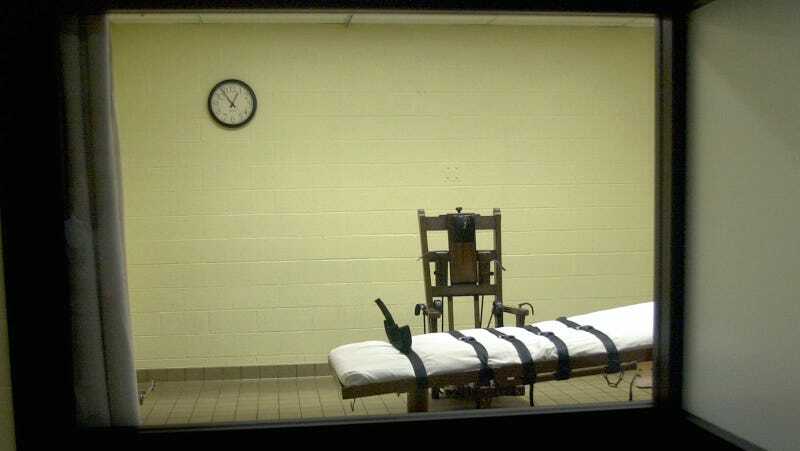 On Thursday, the Florida Supreme Court announced new rulings that have thrown the state’s death penalty process into some confusion that may potentially lead to new sentences for hundreds of inmates. The Washington Post reports that the decisions were connected to a ruling in January, in which the Supreme Court found Florida’s sentencing system regarding the death penalty unconstitutional, as it reportedly gives the judge in death penalty cases too much power. This conclusion came out of the 2002 ruling in called Ring v. Arizona, in which is was decided that the constitutional right to a “speedy and public trial, by an impartial jury” meant juries were responsible for accumulating the evidence in death sentence cases. In the case under review in January, Hurst v. Florida, Timothy Lee Hurst was convicted in the killing of his Popeye’s co-worker during a robbery in 1998. The jury was split on sentencing Hurst to death, and though Florida does not require a unanimous jury for that sentence, and the jurors were told their recommendation was not binding. That left the ultimate decision up to the judge who was free to consider evidence that the jury did not, thus violating the decision made in Ring v. Arizona. The justices said that the January decision will not apply retroactively to death sentences finalized before a 2002 U.S. Supreme Court ruling involving capital sentences in Arizona.